Track 16 suspects across the globe and learn the criminal’s MO. There’s no better way to chill out after a long day at work than with a good detective game. There’s something about solving fictional murder mysteries that calms the nerves and helps you forget about your real worries and responsibilities for a while. 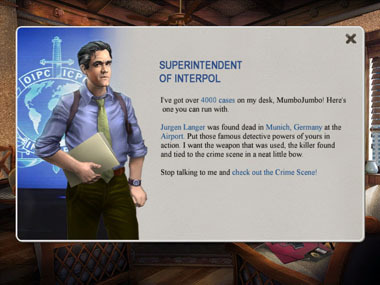 In Unlikely Suspects, you are a shrewd detective and your boss gives you a big pile of 4,000 cases to solve. The cases are all over the world and there are 16 victims, suspects or both on the scene at all times. After you open a case, you go straight to the murder scene to search for clues about the murder weapon. 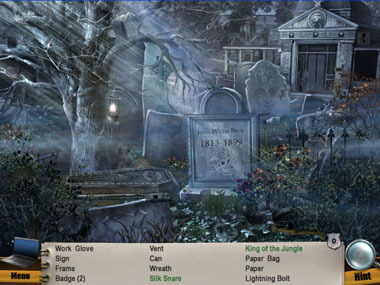 The Hidden Object challenges begin. The clues are not enough though – you will have to use your detective’s intuition and some insight from the Medical Examiner to determine what the murder weapon was. You’ll also find clues at the scene that will help you identify the murderer like the kind of shoes they were wearing; did they have jewelry or tattoos? You’ll keep track of all the details you expose in a case folder. Next, you investigate the victim’s house for clues about the last place he or she traveled to. Once you map out their final route, you head out to follow it and uncover 3 key pieces of evidence that will help you find the killer. Your travels will take you to the United States, England, Ireland, Germany and to cities like New York and Las Vegas. There are some exciting bonus features in Unlikely Suspects like Quick Play, which you can unlock after solving four cases. 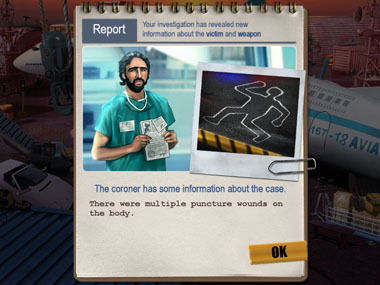 This mode allows you to complete a scene after locating only four objects instead of the full list, so you can crack cases faster. Plus, in each scene there are two well hidden police badges. If you find 50 of them you unlock three suspenseful mini games: a Hidden Object extra, a memory game and a weapons challenge! We have heard some players say that the objects in this game are really small and are sometimes super hard to find. The game developers added a nice feature to help with that though. If you click on any of the objects on the list, you’ll be shown a silhouette of what the object looks like. This is a fantastic help. A “Vase”, for example, can come in a million different shapes and sizes. Once you know its outline, you’re more likely to find it much faster. Hints are also generous in this game and recharge rather quickly. So don’t hesitate to use them if you’re stumped. Unlikely Suspects is a superb murder mystery game that offers just the right amount of suspense and mystery without getting too complex. 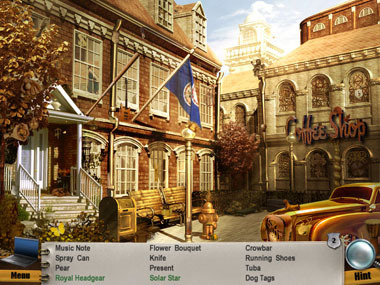 After all, we’re Hidden Object game fans at heart, right? Here, the plot adds intrigue but keeps the object hunting at its core. So put on your detective fedora and keep a low profile in that trench coat. You have murders to solve! press play free and game review comes on. can the game be played or not?? I tried this game out and I really do enjoy the game, it was thoiught out really carefully and is a Great game…! I really enjoy these games.they are very educational and very fun and exciting. sounds like a fantastic game, cant wait to play. tree times my computer has crashed but each time i have reloaded unlikely suspects i wish there was a way to get credit on the past games that disappered on each crash. i wish that there was a way for me to keep track of all the games i have completed on computer and not in a note because sometimes i forget to write them down. What’s up friends, pleasant paragraph and good urging commented at this place, I am truly enjoying by these.